Here's is the front third quarter photos of the fire truck. And yes you're correct. We have other Carmichael Cobra C2 chassis. 2 unit C2 4x4 had been delivered for CAAS Singapore. 1 unit C2 6x6 is on Matak Island, belong to ConocoPhillips. 1 unit C2 4x4 is still in our factory. Hi Bayu that information on the Komodo deliveries is extremely informative. Thank you for making the front three quarter shot available. Have you any images of the others interesting 4x4 variants listed. Added by Gary Parkinson on 06 June 2007. Hi Bayu, can you please tell me more about the CAAS Singapore ones, like what year they were delivered? I have listed two Eagle 6 Foam Tenders which should be built by CCD (Continental Contract Development)but were finished by Carmichael in 2001. So where is Ziegler Indonesia based? Added by Fire995 on 06 June 2007. Hi Fire 995 - I did the official photography of the 2 x Eagle 6 CCD crash tenders Completed by Carmichael for Changi International Airport. I can supply full details if of interest? 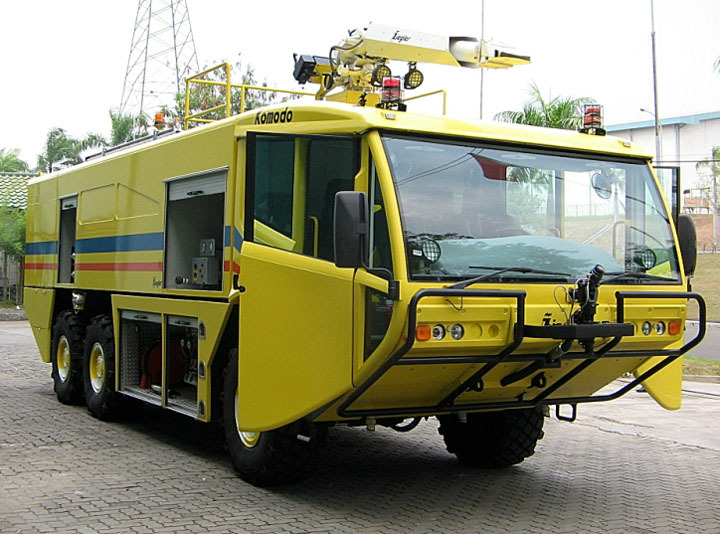 I am interested to know the Specification of Komodo 6 firetruck. i have seen it being demonstrated in Cebu, Philippines. We are a trading company for 12 years specialising in PPE's, Oil Spill Equipment, Fire equpments to name a few. We have clients that have requirements to purchase a fire truck. If you can respond to my inquiry, it would be most helpful. We are interested to represent your company here in the Philippines. Added by Ria Dela Cruz on 31 March 2008.